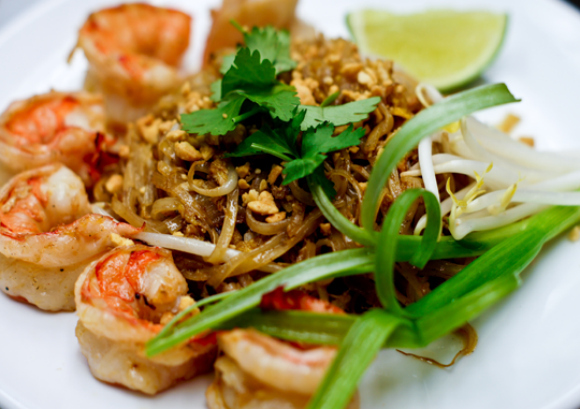 If you love flavor, spice, color, curry, aromatic dishes…then Little Thai Kitchen may very well be your next stop. Located in Greenwich and Darien, this tiny kitchen packs a big punch! Locals love it and out of towners can’t get enough of it. We welcome you to some of the best Thai in town. If you’re feeling bold and in the mood for a kick, look no further. Every curry dish is as good as the last and you can always count on fresh tasting, exotic and flavorful food on your table. We hope you stop in and experience LTK and be sure to bring your appetite. Little Thai Kitchen of Greenwich invites YOU! Greenwich’s original spot! Still the best to do it. The green curry or jungle curry is the best one! Awesome Thai iced teas! You have got to try one if you’ve never had one. Great red curry. Don’t ask for spicy anything. It’s already spiced perfectly and you WILL burn your face off if you ask for thai spicy. You mean the Nua Nam Tok, yes it is very good. I’ve tried duplicating this salad at home and can’t for the life of me. Looks so simple to make but you need the right chili, lemongrass and touch. Great curries also. The jungle and red curry are very good. Have been going here for years. Best little hole in the wall in greenwich. Amazing beef salad with chili and lime. So good! I dunno, LTK has pretty amazing curries. I’m a bit biased since I have been going to LTK for ever. I’ll have to go with them on this one. LTK is good. I must say that I prefer Thai Basil though. In my opinion, TB is just all around better. Not that LTK isn’t great, I just like the vibe at TB a bit better. Very consistent. Greenwich has a couple really great Thai places now. Glad to see people explore more diverse cuisine. I personally feel Thai offers some of the most exciting flavors on the food spectrum. Parking is not the best but take out solves that problem. Great curry no matter which one you go with. I love the beef salad with chillies and lemongrass…simply amazing. Love the Thai fried rice and Indonesian nasi! Great little place with outstanding food. Tiny but amazing food. I usually order out and have never been disappointed. All of the curry dishes are equally good. Really good Thai in Greenwich. Have been coming to LTK for years. I love the Jungle Curry w/ Chicken. Any Green Curry is amazing. The Satays are also really nice.